Dr. Wassim M. Haddad is the Co-Founder, Chairman of the Board, and Chief Scientific Advisor of Autonomous Healthcare. From August 2012 to June 2015 he served as the President and Chief Executive Officer of Autonomous Healthcare. Dr. Haddad holds the David Lewis Professor of Dynamical Systems and Control in the School of Aerospace Engineering at the Georgia Institute of Technology. He has authored or coauthored over 600 archival journal and conference publications as well as seven textbooks and monographs in the areas of science, mathematics, medicine, and engineering. His monograph, Nonnegative and Compartmental Dynamical Systems (Princeton University Press, 2010), provides the theoretical foundations for closed-loop control in clinical pharmacology. Dr. Haddad's adaptive control algorithms for intraoperative anesthesia have been used in clinical studies involving over 50 subjects to control the level of anesthesia with excellent regulation. 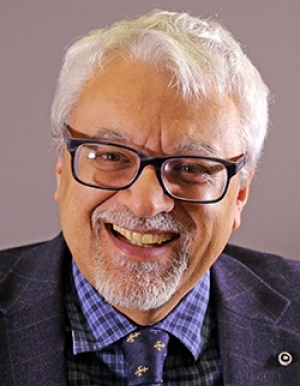 Dr. Haddad is a National Science Foundation Presidential Faculty Fellow, a member of the Academy of Nonlinear Sciences, and an IEEE Fellow for contributions to robust, nonlinear, and hybrid control systems. Dr. Behnood Gholami is the Co-Founder and Chief Executive Officer of Autonomous Healthcare. He served as the Co-Founder and Chief Technology Officer of Autonomous Healthcare from 2013-2015. Dr. Gholami was a Postdoctoral Research Fellow at Harvard Medical School, Brigham and Women's Hospital and Associated Researcher at the Broad Institute of MIT and Harvard from 2011-2012. Prior to Harvard, he was a Postdoctoral Fellow in the Department of Electrical and Computer Engineering at Georgia Tech. Dr. Gholami received the PhD degree in aerospace engineering from Georgia Tech in 2010, where his doctoral dissertation focused on the problem of closed-loop control of cardiopulmonary management and intensive care unit sedation. He is a co-author of the monograph Decision Support and Neuroadaptive Control for Clinical Pharmacology (in preparation) with Dr. Wassim M. Haddad and Dr. James M. Bailey, and has authored or coauthored over 20 archival journal and conference publications. Dr. Gholami completed a Graduate Certificate Program in Engineering Entrepreneurship at the College of Management, Georgia Tech in 2010. Dr. James M. Bailey is the Chief Medical Officer of Autonomous Healthcare and the Medical Director of Critical Care at the Northeast Georgia Physicians Group, Gainesville, GA. Formerly, Dr. Bailey served as the Chief Medical Informatics Officer and the Chief Medical Officer of the Northeast Georgia Medical Center, Gainesville, GA. He has more than 30 years of experience in anesthesiology and critical care medicine. Dr. Bailey was the Co-Director of the North Georgia Critical Care Collaborative, which involved a joint effort between a number of hospitals in Georgia to improve the delivery of critical care in the North Georgia region. This collaborative was awarded a $10.7 million Health Care Innovations Award from the Federal Centers for Medicare and Medicaid Services. Timothy S. Phan is the Director of Engineering at Autonomous Healthcare. He received the B.S. degree in Electrical and Computer Engineering, B.S. degree in Biomedical Engineering, and M.S. degree in Electrical Engineering from Rutgers University, New Brunswick, NJ. Previously, he was a graduate student research fellow at the University of Pennsylvania Perelman School of Medicine investigating cardiovascular system dynamics with a focus on non-invasive phenotyping (echocardiography, cardiac MRI, arterial tonometry) of aging and heart failure.